This isn’t the first time artist João Onofre displays his art installation titled Box Sized Die, nor is it likely to be the last. It is, however, the first time the installation has gone to London. 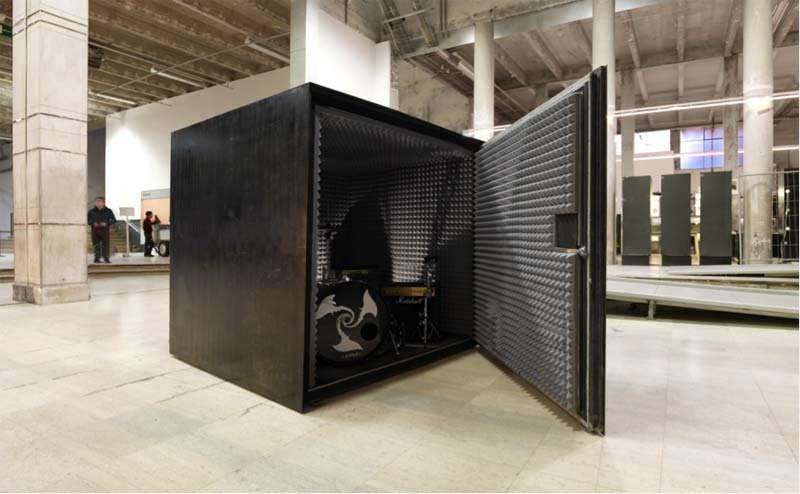 Consisting of a large soundproof steel cube, the Portuguese artist invites a local Death Metal band to play inside the cramped space both with the door open, and then with it closed, limiting the performance length to how long the band can last before the oxygen runs out. Placed in the heart of the business district for this summer’s Sculpture in the City festival, Box Sized Die, according to Onofre, is meant to symbolize the office buildings that surround it filled with cubicles and impossible to know what’s going on inside from the exterior. 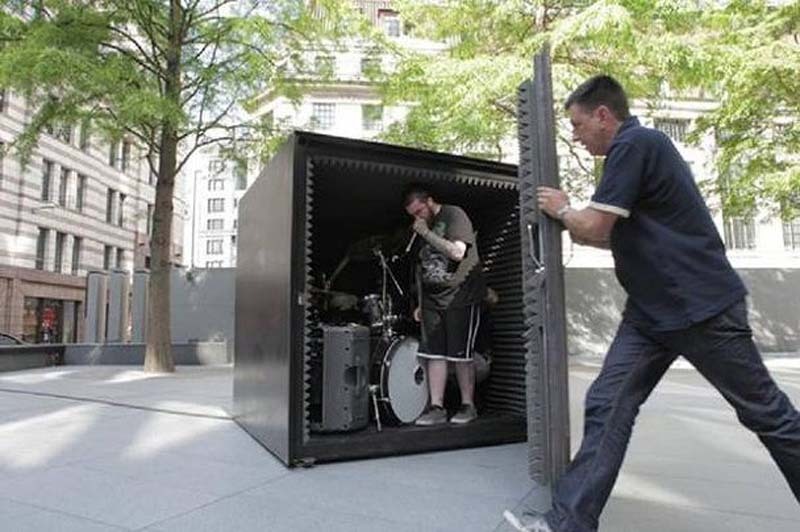 Spectators put their ears to the box to hear the band Unfathomable Ruination play their self-proclaimed “unrelenting brutal death metal” to no avail, but the band seems to be embracing the challenge wholeheartedly having lasted between 19 and 25 minutes in the sealed box so far. If you’re in London, the band will be performing Wednesday to Friday through August 1, 2014. This entry was posted in Art, Event, Just Plain Cool, Music, Pop Culture. Bookmark the permalink.